. . . . let you know of our progress in moving the bison. 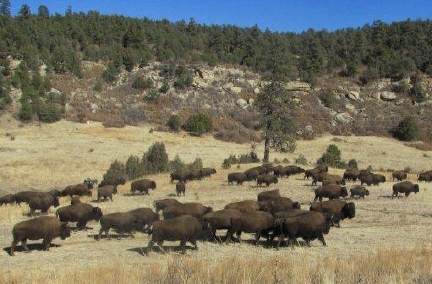 This is our second year to migrate the bison herd down country and across the highway onto the prairie. The crew is doing a great job and meeting with much success. We have crossed 957 head so far with a few more to go. This is quite a task, but being the second year we must be doing something right because they are moving very freely and much quicker than last year.